And then there were three: Toshiba’s announcement that it’s to stop making TVs and instead licence out its brand means only Panasonic, Sharp and Sony are left carrying the Japanese flag in a market sector the country once dominated – but for how long? If you think Toshiba’s decision to stop making TVs for export markets, and instead licence its brand to third-party manufacturers, is good news for the remaining trio of major Japanese TV manufacturers – Panasonic, Sharp and Sony –, think again: true, they’ve just lost a competitor, but Toshiba’s departure should be more a cause for concern among the last three standing, rather than a reason to break out the sparkling saké (yes, it exists). 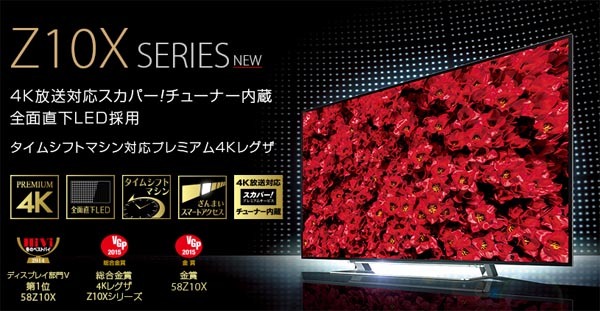 In fact, it’s just the latest move in the end-game for Japanese TV manufacturing, started when Fujitsu pulled the plugs on its excellent plasma TVs at the end of 2007, saying it felt it was no longer able to turn a profit selling big, high-quality, premium-priced displays to consumers. Pioneer, however, had come up with a novel idea earlier the same year: it was going to sell big, high-quality, premium-priced plasma displays to consumers as a means of turning a profit in a market when it had been struggling to make money competing with price-slashing rivals. For a couple of years it seemed to some that it might just pull it off, although I have to admit to having had my doubts when the strategy was announced, but by February 2009 Pioneer was out of the TV business. Talking of the profitability of big, high-quality, premium-priced plasma displays to consumers, Panasonic rounded off several years of touting the superiority of plasma over the market-invading LED-lit LCD TVs – they even took me to Japan a few years back for what was a pretty unashamed brainwashing event on the subject – by announcing in October 2013 that yes, it was giving up on plasma sets, simply because it wasn’t making any money on them. Trouble is, it’s not a plasma thing: for all the efforts of manufacturers to sell us up to premium-priced TVs (on which of course they make more money) with 3D, ‘smart’ features and now 4K, as soon as a new TV technology is launched, it quickly becomes assimilated as just another feature, and prices go into freefall. Why? Maybe we’re all too used to a world where significant extra functionality is available as a free app download; maybe we’re always looking for a bargain; maybe we don’t really care about the quality of a product as long as it’s big and impressive, got all the stuff on it, and above all is cheap (as was evidenced by the hand-to-hand combat over big, cheap and really rather nasty TVs during last year’s much-hyped Black Friday sales). TV manufacturing, once the mainstay of many a Japanese consumer electronics company’s revenue, is now a financial drain. That was also the reason given when Hitachi exited the TV-making business in 2011, after 55 years of continuous production, in favour of outsourced manufacturing. Or to put it another way, sticking its badge on someone else’s product. And when it comes to the main technology in TVs, LCD panels: that ship has long sailed from Japan: only Sharp has any significant stake in that game these days, with a market share of just 5.5% in the third quarter of last year. That figure is dwarfed by the two South Korean giants, LG Display on 26.1% and Samsung with 21.2%, but also by Taiwan’s Innolux (18.5%) and AU Optronics (15.6%). These days Sharp, one of the big players in LCD panels for TVs is only just ahead (by 0.1%) of China’s BOE Technology Group. 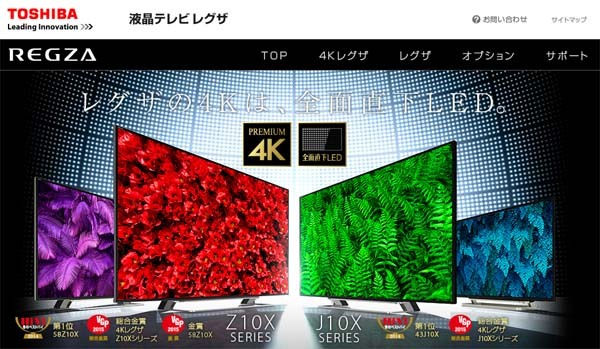 Interestingly, only in Japan will you be able to buy a Japanese-made Toshiba TV, as the company seemingly intends to continue making sets for domestic consumption. But then in Japan ‘Made in Japan’ still has major clout, as you also see on the country’s roads: not a lot of Kias and Hyundais being driven, which is also why the major players in the global TV market, Samsung and LG, have traditionally struggled to make inroads into the Japanese consumer electronics market. So, now there are three – and one of those, Sharp, has already turned over its European TV manufacturing to Slovakian company Universal Media Corp (UMC), as part of a more wide-ranging European restructuring. UMC is thus able to make and sell Sharp-branded sets, in the same way that Sharp licenced the Pioneer Elite brand for TVs sold in the USA. Confused yet? And with Sony’s boss, Kazuo Hirai, still looking at ways of saving money and returning the company to profitability, you have to wonder how much longer there’ll be that many. After all, on the day Apple announced its record fourth-quarter profits and sales of 74.5m iPhones, with 70% growth in smartphone boom-market China, it was reported that Sony plans to cut another thousand jobs from its mobile division, as part of moves designed to achieve a 30% reduction in staffing in the loss-making business group. Many of those job cuts will apparently be in – you guessed it – China, and come on top of 1000 already-announced mobile division redundancies. They reflect Sony’s status as not just an also-ran in the smartphone market, but one dropping back from the market-leaders on every lap: in 2013 it was in sixth place, with a 4.1% market share, in 2014 it had a 3.9% share and dropped to eighth place, and industry analysts suggest this year it will manage just 3.1% and fall further to tenth. Last year Sony took the axe to its Vaio personal computer business, which now exists as a standalone company under new ownership (and one believed to be working on its own Sony-challenging smartphones), and spun off its TV division into a separate company within the Sony ‘family’. Having told reporters earlier this month that some of its divisions ‘will need to be run with caution – and that might be TV or mobile, for example,’ Hirai has got to come up with another financial restructuring plan in time for the announcement of Sony’s latest annual results, expected to show an overall loss of some ¥230bn (around £1.3bn). Losing the TV division might seem like a logical move, given that it’s been in the red for many years, but the cost of the restructuring involved in doing so, plus the small matter of finding anyone willing to pay anything like what Sony must believe its TV operations are worth, could just be what’s keeping it in the fold. However, there are precedents: for example, having seen the profitability of its TVs tumble as prices were cut in the world’s shops and new rivals emerged able to make products with much lower costs, Panasonic has reinvented itself with more profitable technologies such as sustainable energy systems, home appliances and – using the knowhow it consolidated when it bought Sanyo back in 2008 –batteries for the ever-growing electric and hybrid vehicle industry. When I was in Japan a month or so back, it seemed like just about every vehicle I got into, from taxis to private cars, had a ‘Hybrid’ badge on the back, and Panasonic also has invested in the lithium-ion automotive battery factory producing the power-sources for Tesla Motors range of cars, including the Model S (below). Panasonic also gained considerable traction in solar energy technology from the Sanyo purchase, but has recently offloaded manufacture of the TVs it sells under the Sanyo brand to US retailer Walmart: they’ll now be made by Funai, in return for royalty payments to Panasonic. Yes, Funai is a Japanese company, and already makes Philips-branded sets for the US market, but it doesn’t manufacture in Japan, instead outsourcing prodcution. Sanyo TVs are currently made in Mexico by Chinese-owned TCL. Update: Reports suggest Panasonic is pulling out of its joint venture to make TVs in China, with the operation in Shandong Province, which made around 200,000 LCD sets a month, apparently having shut down on Friday, January 30th 2015, with the loss of some 300 jobs. It is other Chinese TV plant (in Shanghai), in 2013, as part of its retreat from the plasma TV business. Panasonic will now buy in TVs from other manufacturers to sell under its brand, the reports say, adding that it’s also considering selling its own TV-making plant in Mexico, which makes sets for the North American market. If the Mexico factory follows the Chinese one, that will lead to a 10% reduction in Panasonic’s total TV-manufacturing capacity, and concentrate attention on the company’s other plants, currently making higher-ticket – and thus more profitable – models. And of course Panasonic has even taken the drastic step of reviving a brand from the past, at odds with its 2008 move disposing of its National brand and Matsushita company name to become a ‘one brand’ company: the re-emergence of Technics is interesting for the hi-fi enthusiast, but also a sign of the way Panasonic is exploring every channel, be it old or new, to generate more stable revenue-streams. Amidst all that background, it can surely only be a matter of time before one or other of the two big rivals of Japanese consumer electronics – one based in the greater Tokyo area, the other in the country’s ‘second city’, Osaka – bites the bullet and either pulls out of TVs completely, or at best follows the Pioneer/Hitachi/Toshiba route of licencing its brand for use on TVs made elsewhere. Good update and analysis of an industry I don’t recognize from the 1980s. They did indeed, Tim – now it’s all more profitable stuff like lifts and trains and nuclear reactors!